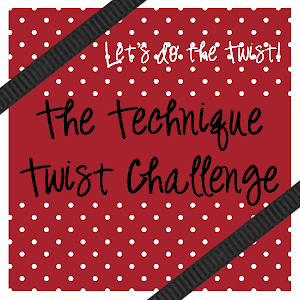 Welcome back to the Technique Twist Challenge! We love techniques! Even better - we love to put our own twist on techniques! Today we're focusing on Double Embossing! 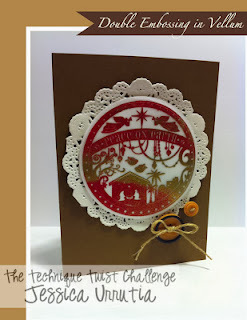 Not your standard dry & heat embossing here! No way! Instead, we're mixing up the powders & adding pizzazz! Check out what our fabulously twisted Design Team came up with! Now, it's YOUR turn! 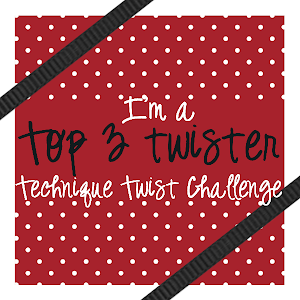 Link up below with your creation & tell us how you twisted the technique by October 26, 2013 at 1159p. Click HERE for our challenge guidelines. If linking up through SCS, use TTTC08 as your keyword. Challenge winners will be announced on November 1!